Posted on October 7, 2014 . Note – Icons is in downloaded code drawable-hdpi folder. 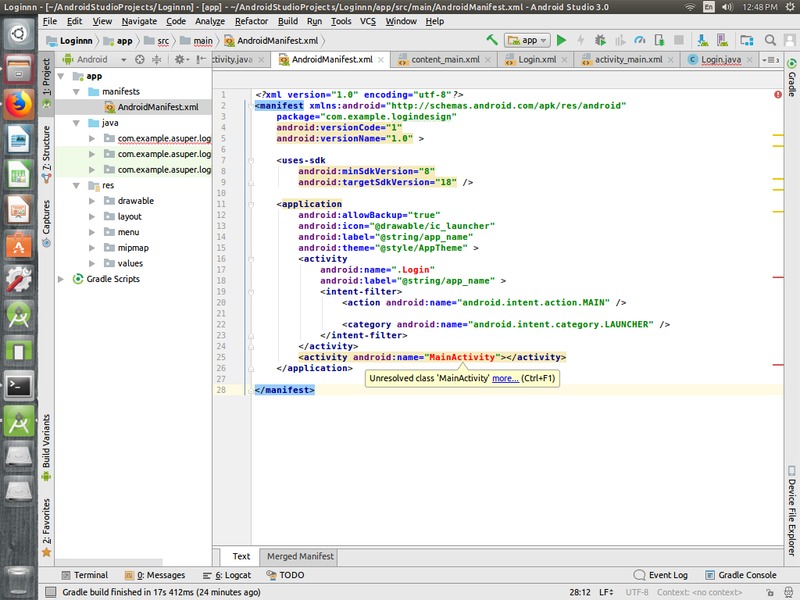 This file namely greybackound.xml is basically a gradient file for designing ,It is situated in drawable folder. Right click on res –> New folder –> drawable and paste the following codes. btn.xml is for button gradient like corner is circled. where are the php and mysql part? hi friend i want learn sqlite database ,please help me. Ragha @ what error you getting , can i have the snapshot please !! hi, i have created a main activity where there are 2 buttons Login and Register. on clicking register button its going to next activity where user need to fill the form and submit. 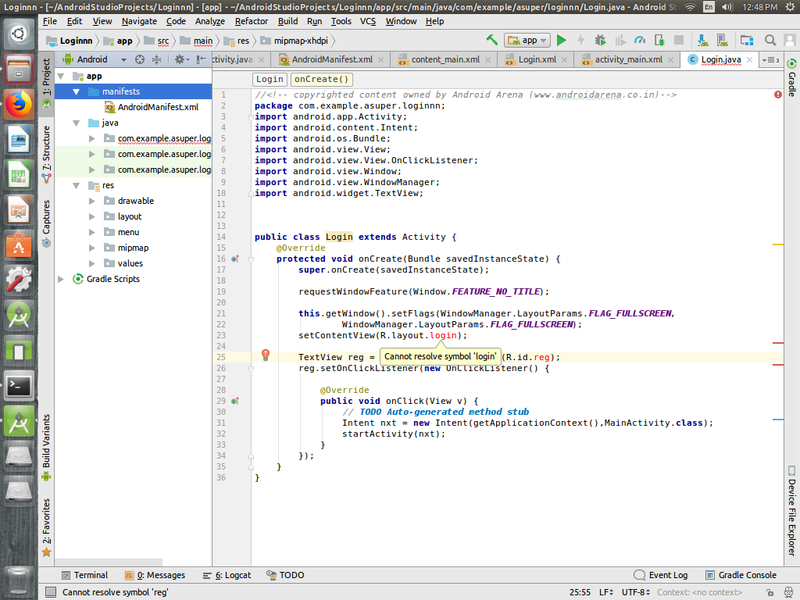 it will store in database. after that next time whenever i m trying to login with registered id and password its showing “id/password doesnt match”. I wrote simple code for Login validation. it checks whether the inserted Id is matching with the password stored in the same row of table. but every time its shows id/pd is not matching. i wrote a simple and correct code for validation . i think something is wrong with database. i cannot see my db file in file explorer in eclipes. can you share the code for storing registered info in database and how to check whether data is properly storing in database or not. 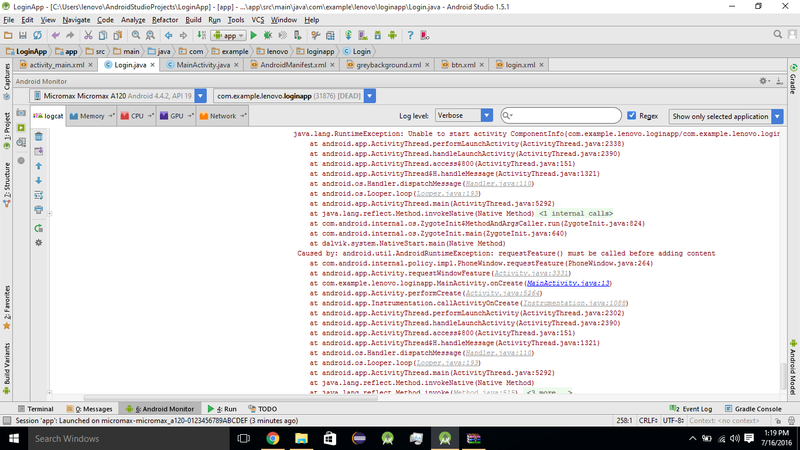 Even in android manifest Login and Main Activity cannot be resolved.